Java in June, a City-Wide Class Reunion for Java High School Graduates, was held last weekend. 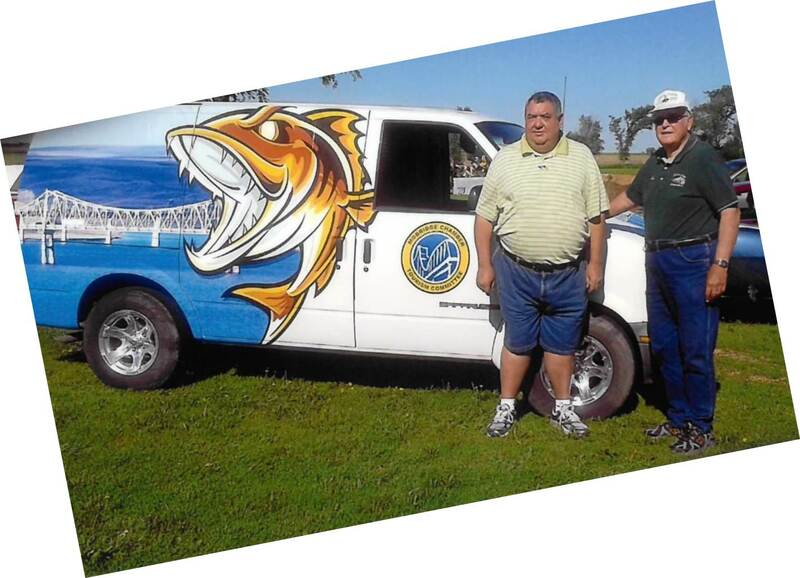 Mobridge Chamber Ambassadors helped out with the meal--and the Walleye Wagon even made it up to their parade earlier that day (thanks to Herb & Joyce McClellan). John & Hazel Badgley, Otto Oster, Peg Wunder, Herb & Joyce McClellan, Dean & Judy Martin, Linda Meyer, Cindy Moser, Bill Zacker, Brian Liedtke, and Haden Merkel helped serve over 250 dinners Saturday night. Thanks to the Mobridge Ambassadors for all they do!